A fantastic wine to celebrate a special occasion. Coming from a warm 2005 vintage this wine is very generous and drinking very well right now. A great example of the potential for Australian shiraz, this wine is a fantastic expression of top quality fruit, with delicate use of old oak. This wine developed and changed a lot over a couple of hours in the decanter. Spicy plum nose with a hint of anise with more notes of stewed fruit developing over time. Incredible length on the palate, with wonderfully integrated tannins. 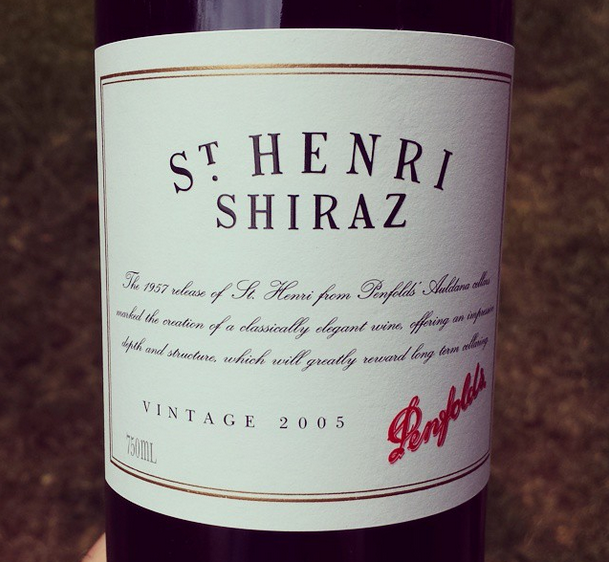 Truly one of the great Australian reds and drinking great right now. Penfolds recently held a promotion, in collaboration with Vinetec wine fridges, offering a fantastic deal on a fridge when you purchased at least six wines from their bin series or luxury wines. Being in need of a wine fridge this seemed like a perfect excuse to pick up some Penfolds wines. Amongst the six pack of wines I got a couple of bottles of this riesling and am glad for it. The nose has a nice toasty character with some lime and kerosene, characteristic of so many aged rieslings from this region. The palate is holding up well with nice crisp acidity, sustained minerality and plenty of citrus. Drank fantastically well with salt and pepper soft shell crab. Will buy again, if I see it, as it's hard to beat at this price and I love aged riesling.